Ranbir is a dreamer, he has a well-paying job, but his aspirations are higher. He is a good lover, he adores Adah and can forego any comfort of the world for her sake. But even then, he is not happy. Because his true calling is not in the corporate, it’s in writing. After much deliberation, he takes the plunge and leaves his job to write full-time. While he struggles for balance, Adah also starts keeping herself away. Was she really in love with him and was it just a facade? Amidst all this confusion, Pihu Sharma enters his life – his first ever fan, who seems to be head over heels in love with him. While Ranbir’s equation with Adah deteriorates, Pihu leaves behind her luxurious life to shift in with him. Is this the true love Ranbir had been waiting for? Join Ranbir as he makes his way through a world that kills for money and dies for love. A story where you expect it to be a typical love story but it isn’t. A good stomach punching twist,- takes you with a swift. Ranbir is the main character here where his relationship with adah is questioning with more fights then sweet moments. Adah doesn’t want ranbir to follow his dream to become a writer but instead asks him to follow his 9-5 job. Adahs parents are also not very convinced with ranbirs idea. Ranbir is already having a tough time managing his career where at work his boss is sucking out his life, personal turmoil with what to do, beginning his book and his devastated love life. Not able to give adah much time in between all of this. Adah is splitting away slightly. Slowly. Ranbir gets his book published and now reader’s start adoring him. he meets pihu one of his very first readers- he talks alot to him and he think he is attracted towards her. the story takes alot of turns – and that is why you should read the book! the ending leaves you with a whirl of emotions. storyline is very interesting too! 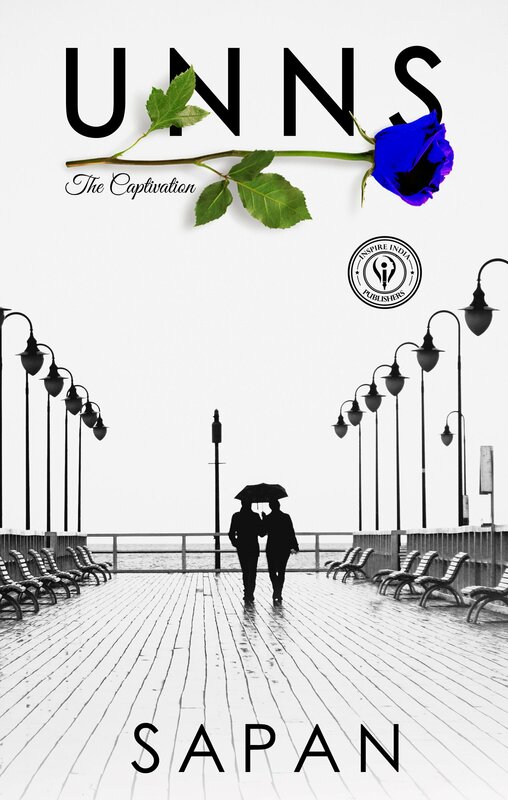 “Of course you know about the seven stages of love, but have you ever lived them?” Atharva Rathod and Meher Qasim. Lovebirds since adolescence. Bonded by love, separated by circumstances. They part ways only to meet again. But this time, he is on a secret mission… Are they in control of their own destiny, or its their destiny which is making them dance to its tunes? Only time would answer, as Atharva and Meher unwillingly and unknowingly transcend the seven stages of love. A quintessential tale of love and romance marked beautifully by its own rustic old school charm. The title definitely left me to google what it meant. And the cover simple and sober. the blurb doesn’t give away the story so read to know more! Not the typical love story that sits back and has an happy ending. This book will definitely take you to a ride of emotions, rage and a closure that is needed by atharva. Atharva is the main character of the story- the book starts of from his childhood fun and memories of his first and last ever love – meher. As time goes by. School ends, so does their love story. Leaving atharva bitter about her. Atharva grows up to be a raw agent and moves in to munich for his secret work. Fate has things planned up. He meets meher again only to know she betrayed him as her dad was killed in india. She started hating everything about India. And atharva lands into jail for 10 years. Then after he is left from the jail he has been sent in on a mission again. Meher meets atharva again and various twists happen. 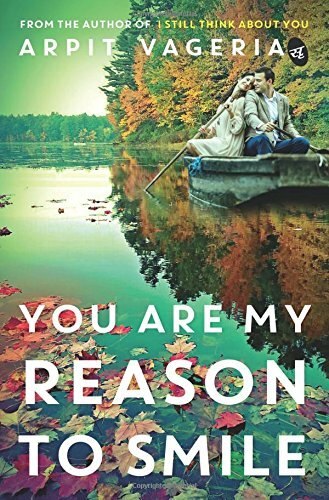 This book doesn’t settle easily with all the twists and turns it keeps you along with it, hooked to it. The storyline is interesting- different. Language used follows up perfectly building in the suspense. I really loved the part in the book where the 7 stages of love is explained. The first half of the book feels really different and simple like atharvas childhood and then the second half is nail biting and complicating turns that take place in his life. The ending felt like a thud! Definitely will recommend to read it! This is a story that falls through the crevices of pitiless anonymity, yet miraculously waits to be told. Shijukutty, a Malayali fisherman, leaves his tiny hamlet of abject poverty in the coastal village of Vizhinjam on the outskirts of Thiruvananthapuram, the capital city of Kerala, that picturesque vignette of searing beauty on the southwestern coast of India. Shiju, like millions of other Malayalis, seeks his destiny in Dubai, that gleaming global hub of fortune on the southeast coast of the Persian Gulf. What unfolds is a stirring story of distilled hardship, exploitation, identity, and friendship, and the heartbreaking choices Shiju is often forced to make. So what he sees is not what he experiences when he lands in a world of glimmering towers, fast-paced life, and unabashed opulence. For what he was not prepared for was the dark underbelly of Dubai beyond the shimmering mirage. Shiju’s life is no more the same. But he holds his ground, drawing on ancient instincts of his seafaring ancestry. As things settle down around him, he is inexorably pulled into the canyon of recession… Will Shiju be able to hold on to his dreams? Will he able to pull out himself from the whirlpool? Will he survive against all odds? Will he redeem himself? 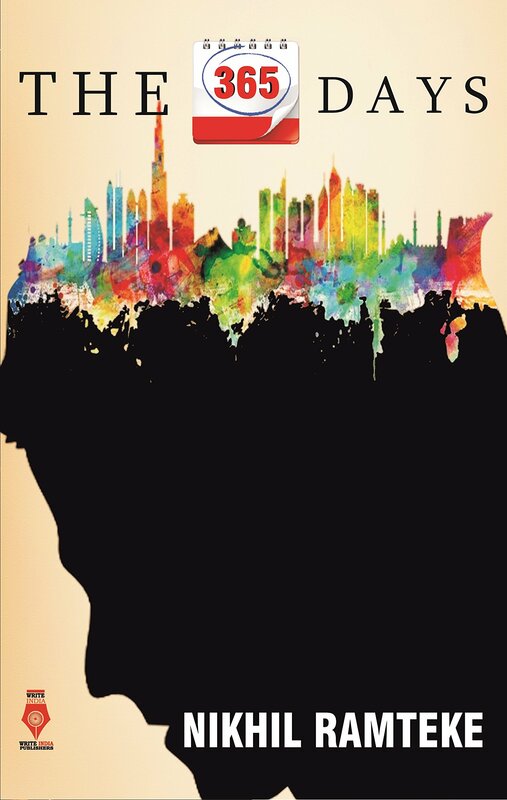 Nikhil Ramteke unfolds an extraordinary saga about Indian expatriates, their struggles, their alienation, and their dreams. The 365 Days is more than a story of a year in Shijukutty’s life. Nikhil Ramteke is an M-Tech in Chemical Technology .He is currently working as a Production Manager in a leading multinational FMCG giant -IFFCO, since 8 years. Born & brought up in Nagpur Maharashtra, he currently stays in Sharjah, UAE. Apart from his passion of writing, he is a qualified painter, nominated photographer & an avid traveller. Intrigued by Indian labor’s situation in gulf, he narrates a heartbreaking story & his experience in UAE. The 365 days is his debut novel. Reading it while travelling, this book gives you goosebumps of the events that take place in a malayalis life – from his beginning to be rich and give amenities to his family, he ends up savouring the dream but with the consequences of being hit and living a miserable life. He learns about life and retreats it and finds it rejoice in it too. He is conned by sadique – who says all his riches is formed by working as a construction worker for years and then clearing off those debts and living the riches then. Dubai becomes one of his nightmares staying away from dhanya his wife and his son. Just breathing enough with their memories. He is treated poorly and is also given less money until he realises about it, all of it is against him and his dreams won’t be full filled. Cover and title are apt to the book. This book feels very realistic and also based upon people who getted conned in such things. The connection between a South Indian and the sea is beautifully described in the book. Narration and imagery is a beautiful aspect of the book.And the way the days of the worker is described says it all. Well researched! Will he make his dream? Will he go out from there? Read the book to know more. Very realistic and amusing read. Keeping you hooked till the end. 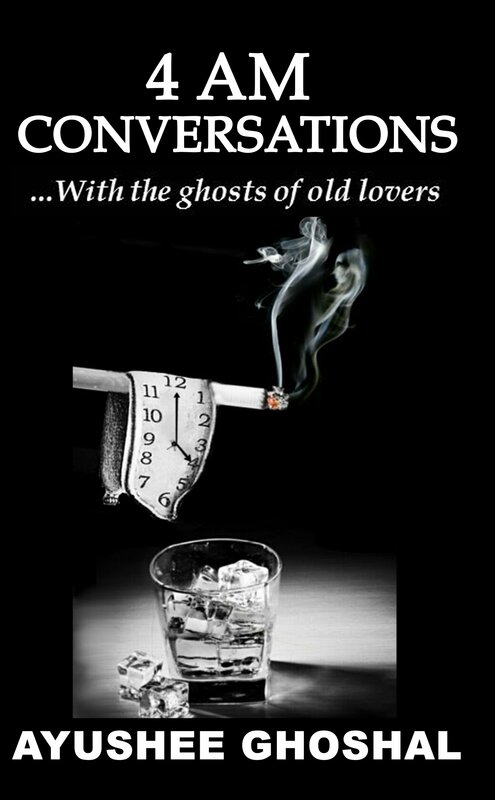 Let’s start off with the cover – black, denoting the lost love and blowing out all the pain into the ashes. We all get into such habits in disdain. The title goes so very well with the poetry book.The book is divided into 9 different parts- each beautifully written with so much emotions and pain. Themes covered – love, lust, pain, healing back, thoughts and heartbreak. Fav lines – I can’t wash you away in thousand years. Sun has given up on us. Carried morning kisses for years in my pocket. This poetry collection has definitely to be in your bookshelf. So relatable and heartfelt poems. Language is easy flowing and very gorgeously put into imagery. It takes you to a different travel in the universe of love and it’s flip sides. How pain moulds us. Poetry being the recluse behind it all. Honestly vulnerable collection of verses and heart breaks. Definitely will reverberate some old memories in your minds. It’ll make you miss your love or ex lovers. Come fall all over again in love and the pain that it gets along. Each poem is palpating and breathing new memories. -note on how life has been after you. Each section is definitely raging some sweet pain. Two college friends are gearing up for their first outstation trip together, but the adventure starts much before the journey. One of them seems to be getting it all – he meets his ex in an auto, makes out on a train, becomes the love interest of another guy on a ropeway and ends up in the arms of a stranger – while the other is left wondering why. Come, travel with two immature friends whose casual trip turns into an experience of a lifetime. They lie to their parents, make friends on the way, get stuck in a haunted building, meet beautiful girls and spend their evenings listening to breath-taking experiences of strangers. But when they finally breathe after a series of adventures, they aren’t the same anymore. 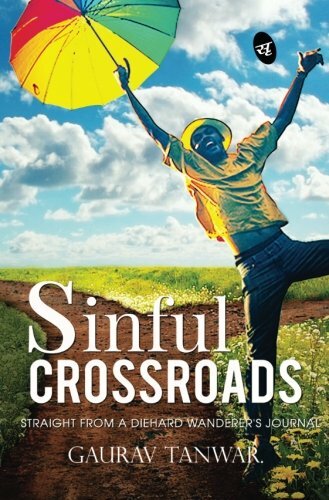 Sinful Crossroads is a story of how random things sometimes add up to make for the most important life-lessons. whatever happens at a trip, stays with you forever and teaches you a million things, knowingly or unknowingly. YES! this book is for all travellers and readers! The book is written from one of the friends point of view, of his and mayanks journey. Which changes their core of thinking and rejuvenates them about life. The author has done a brilliant work by putting up such englightening messages inbetween the lines. you’ll definitely learn something! It is not just that but also alot of mess that takes place inbetween their trip which in the end makes them realise what fun would have been if not this rns of life. from meeting a millionaire to learning so much about life and having various encounters with exes or new ladies they find their way back home with inner peace. A new way to live their life and breathe. the cover and title are really amazing, so is the language and thoughts which are put by the author.It also teaches us about to do what we love- no matter what. This book also reminded me about colourful notions by mohit goyal. the book feels so much like a journey- travelling in their shoes. beautiful imagery and narration! kudos to the author. travellling heals. travelling is life. themes covered- love, friendship, inner thoughts, peace, solitude, romance and lust. Her debut book was a hit among the audience. Her book was enjoyed by everyone. So her she is with her new book – about super couples. It is about real life stories that really will melt your heaart. 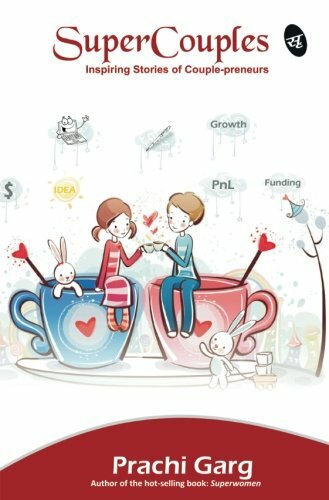 how to maintain the love and business together as one even after the differences and amusing ride of ups and downs in life. The cover is very sweet- the illustrations are really lovely, just like the first book of hers. It consists of different stories of newly started ventures- all the stories really feel so close and felt because of the real stories put up about all their struggle and how they met along. language is layman. The book also lets us know about different online sites- side by side which are of various help to us.. A great book indeed to read along with coffee. Reading it on those soft days when they are good to you. 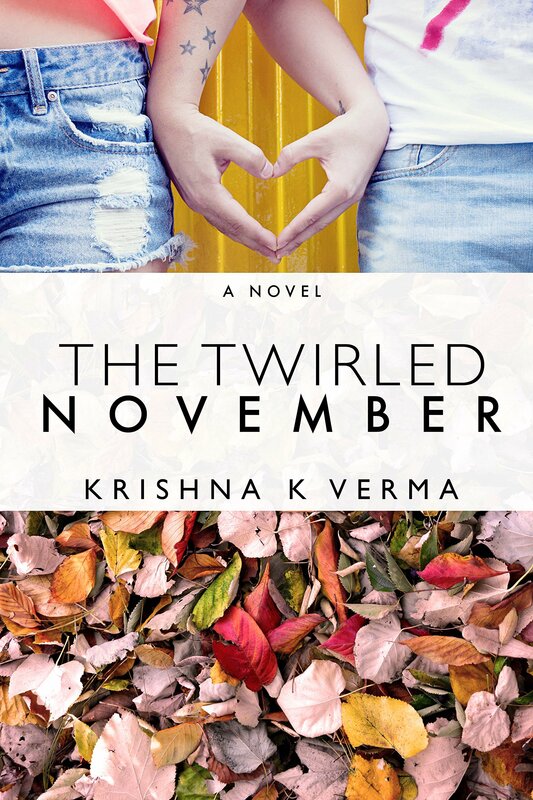 Twirled November is a story of love and affection. Beautifully put up by the author. A short story with detailed description about each happenings, sometimes it went too much detailed which was not necessary. A easy layman language for everybody to understand. It’s the human emotions which one cannot really understand much. If you’re in love with somebody and cannot stay without them or just affection for sometime. The only way to find it out is to stay away. In this story it is seen krish falls in love with avantika – very badly and irrevocably. They both are happy and are reaching heights that one should be reaching in a relationship. It may seem like a love triangle story but is’nt so. That is what is seen in the story. And then at an event he meets his cousin/ more like sister and they start chatting on whatsapp just as a 21st century love. Their talks keep on increasing everyday until it becomes a habit. So will this habit take away all the love he has found or will he start over again with kanak and leave. Read to find out the mismatch and all the love in between the mess. The book is available here and other places as well.